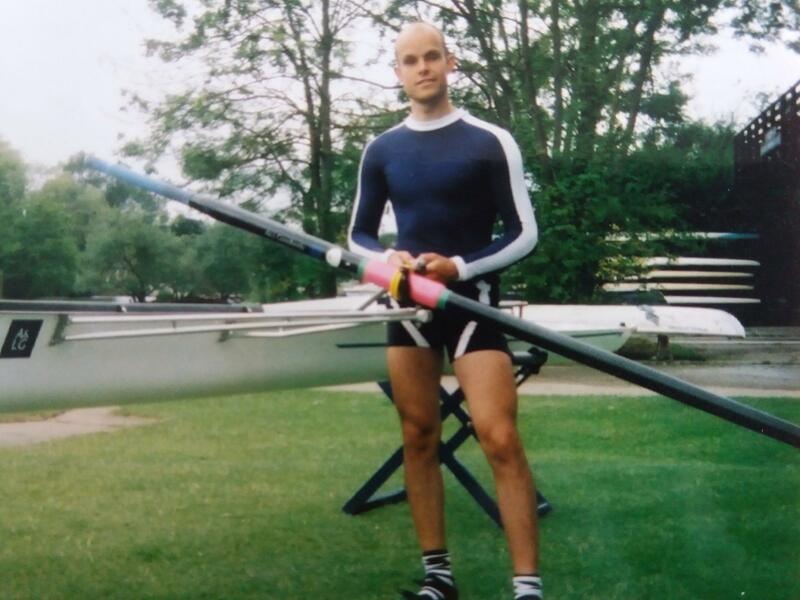 On the morning of the Commonwealth Games Rowing Championships in 2002, I stood on the scales in a paper-thin Lycra vest and shorts. The screen flashed up 68.8 kgs (10 stone 12 pounds), comfortably below the 70 kgs (11 stone) upper limit for the lightweight category that Brendan Smyth and I were racing in that day. Although 68.8 kgs (10 stone 12 pounds) wasn’t exactly my everyday training weight, like a boxer, I dipped down from about 75 kgs (11 stone 11 pounds) to make the weight for races. Up to that point in my life I was able to lose weight with ease and my ability to be disciplined, consistently over time, wasn’t a problem. But from the moment we stood on the podium with silver and bronze medals around our necks, it was like I changed somehow. I lost the connection between eating, training and my body. And, for the following 15 years I steadily put more and more weight on despite racing thousands of miles in deserts, mountains and The Poles. I just kept piling it on and as much as I tried to stop it, I couldn’t. And, this inability to lose the weight led me to question if I had some sort of psychological failing or an unhealthy relationship with food. I started to believe that must be true. But it didn’t stack up. I had enough evidence to suggest that I wasn’t weak willed or lacking discipline. 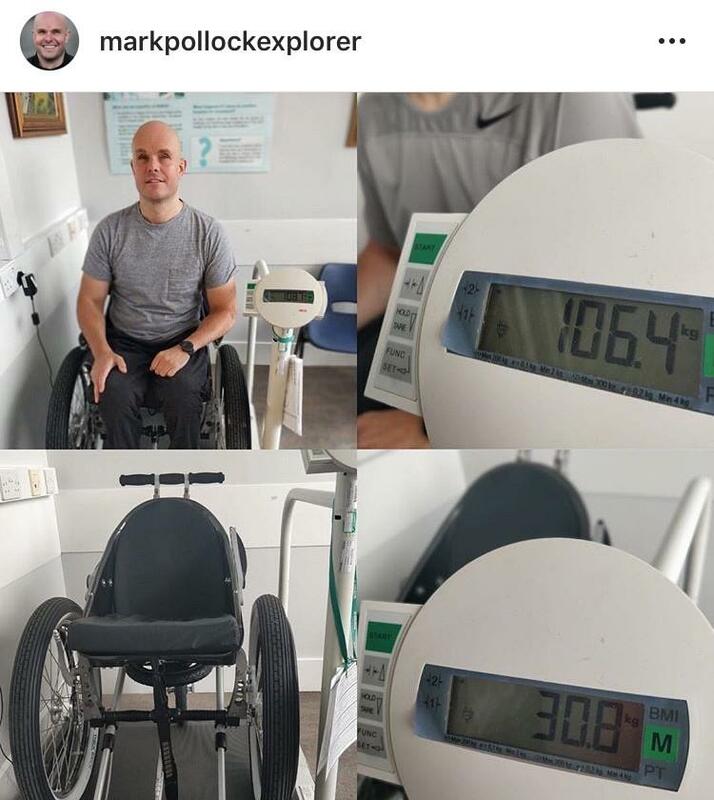 I mean, I had raced at 68.8 kgs (10 stone 12 pounds) at the Commonwealth Games, finished 6 marathons in a week in the Gobi Desert, completed a 43-day expedition race to the South Pole and dealt with blindness and paralysis along the way. But maintaining a healthy weight seemed to be beyond me. It was like I had the ability to do almost anything, yet I had a psychological block when it came to losing weight. The exciting thing is that over the last couple of months I’ve discovered that discipline or will power isn’t the issue at all. It isn’t about psychology, rather it is about physiology. Then things changed. This summer I was doing another stint of Prof Noakes Real Meal Revolution eating, which I’d blogged about before, and I had lost about 3 kgs (6.6 pounds) in 6 weeks. But towards the end of July I came across a guy called Dr Jason Fung. He explains how intermittent fasting changes the physiology of your body and how that influences your psychology. Dr Fung explains that when we eat carbs (sugars or starches) and, to a lesser extent, proteins they go into the blood stream as glucose. Then insulin rises to convert it to glycogen that is stored in the muscles and liver. That was interesting but not the bit that really excited me. It seems that when glycogen is sloshing around in your system your insulin remains high. When that is happening, you cannot access your fat reserves. Therefore, the only way to access my, let’s face it, ample fat reserves was to clear the glycogen in my system and to allow my insulin to drop. And, it takes 12 to 14 hours for that to happen. Based on Dr Fung’s insights, I began to realise that no matter what diet I was doing, every time I ate something within 14 hours of my last meal, I was simply bumping my insulin up and preventing my body eating my fat reserves. So, at the start of August weighing 82.6 kgs (13 stone), I began incorporating his intermittent fasting suggestions into my low carb eating regime. That is, I just stopped eating for about 18 to 20 hours per day and I crammed my eating into a 4 to 6-hour window. In the beginning it sounded impossible – I mean, how could I last for more than a few hours without eating something?! But as I listened to more and more Dr Fung podcasts and began putting the theory into practice, I started to understand the rationale of intermittent fasting. First of all, you are asleep for most of it and a few hours not eating either side didn’t seem too bad. Of course, as my body changed over to burning fat as a fuel source instead of craving sugar, I had a tough enough time. For about 10 days my head was sore, I was a little dehydrated and I didn’t feel great. But after that, the reduced insulin meant that I just stopped feeling hungry outside the fasting window and if I did, I just had a black coffee or a bottle of water. As I moved into this new way of eating and fuelling my body, I started testing my urine with ketosis sticks that I got in the chemist. I found it motivating to know when I was in a state of ketosis and therefore burning fat. It seemed to help the psychological side of things when I knew what was happening to my body’s physiology. Thinking of it as a physiological exercise as opposed to a psychological battle was really empowering. The result was dramatic. Within 4 weeks I dropped from 82.6 kgs (13 stone) to 75.4 kgs (11 stone 12 pounds). I also shifted the fat around my stomach that has been impossible to get rid of for so long. Since the start of September, I have been normalising my life a little bit. And, it feels like I’m in the danger zone as I try to stabilise at this new slimline version of myself. Now I’m asking myself: will I be able to maintain this? But the experiment is going well! I’ve incorporated Friday night pints of Guinness and my favourite – bacon and cheese burgers – on the way home. And, a new pizza place has opened at the end of my road that, worryingly, makes the finest pizzas in all the land! I’ve had two weekends back on the booze and the odd dose of carbs. But the key is that I’ve got straight back on the intermittent fasting and low carbohydrate, moderate protein and high fat eating in between sessions. I’ve also added the ketosis testing sticks back in to see how quickly my insulin drops and I get back into a fat burning state after a blow-out – 72 hours is looking like the answer. I remain nervous about this move towards normality. Past experience suggests that I could be starting a rapid rise to 85.2 kgs again (13 stone) and that scares me. Yet, my weigh-in this week said that I have actually lost another kilo (2.2 pounds) over the last couple of weeks – I am now 74.4 kgs (11 stone 10 pounds). So, regardless of my fears based on past failures, I really feel that this is not about psychological failings or exceptional will power, it is about a basic understanding of my body’s physiology. And, I’m starting to feel like a balanced human being again with room for pints and the odd pizza. I’m half thinking that I’d like to get to 72.5 kgs (11 stone 5 pounds) as my fighting weight. Let’s see how the next 6 weeks goes!